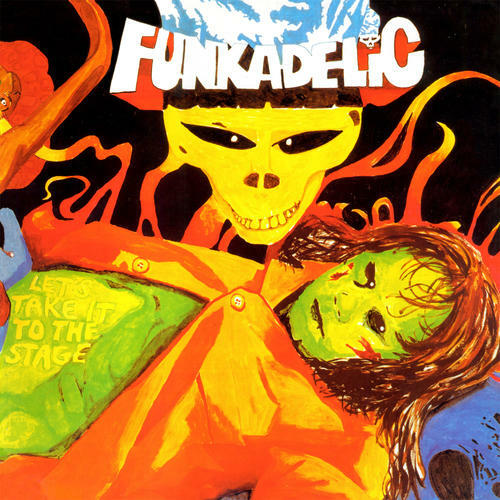 Originally released in April of 1975, Let's Take It To The Stage, is George Clinton’s pioneering combo's seventh album for Westbound Records. Let's Take It To The Stage was the work of a group that had turned a corner, a combination of all the disparate aspects of Funkadelic’s music up to that point: the extended jams, abrasive guitars, smooth ballads, direct vocals, psychedelic ingredients, sexual lyrics and dirty funk into the most short and to-the-point songs they’d ever recorded. Let's Take It To The Stage is cool music made by cool people for cool people. Blue vinyl in a gatefold sleeve.